This is the puppet play that began in the Edo era. While one human being sits down on a box, I operate this. 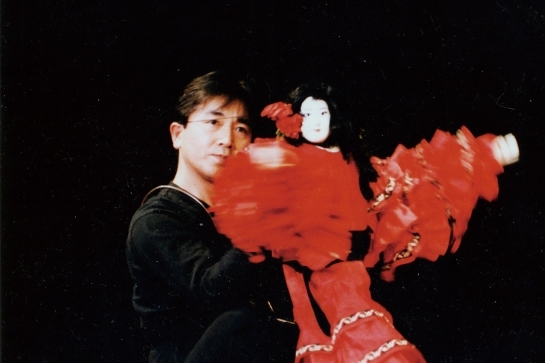 The Nishikawa troupe established this puppet play in Hachioji-shi, Tokyo. And he performs it in all the countries of the world. This homepage tells all of you about the charm of the Nishikawa troupe. 八王子車人形西川古柳座 since 2011-03-20 / / Copyright 2010　HACHIOUJI KURUMANINGYO. All Rights Reserved.